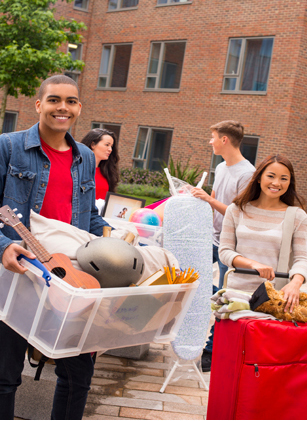 Whether you're going on summer vacation, an internship, studying abroad, or just taking a semester off, we'll make storing your items easy and very affordable! We bring the locker to your dorm. You load it and lock it. We take it and store it. We bring it back when you want. *Prices include pickup, drop off and 2 oversized pieces (e.g. bookcase, bicycle, rug, etc) in our warehouse space! *Includes 1 stop per pick up and 1 stop per delivery. Additional stops are $25 each. Locks are $5.50 each or you may provide your own. 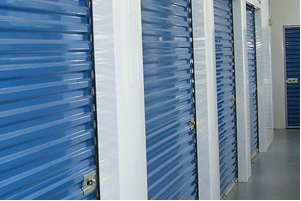 *Extra warehousing is available - pricing on request. Come check us out this Spring at the College Center. TOO MUCH STUFF FOR A LOCKER? 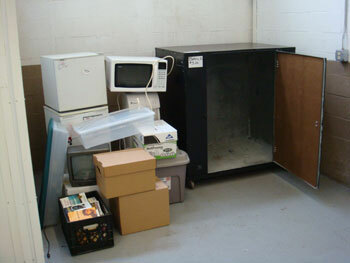 We offer full size storage units in our climate controlled building. We have boxes and tape - all you need to help you pack!